Take your Brit Windows classic conservatory design to the next level with full-height walls and bespoke roof designs. 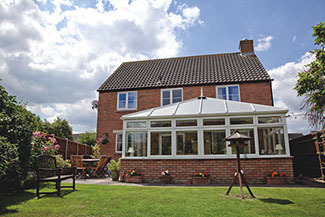 Our “Classic Plus” conservatories are sure to bring elegance and style to your extra space. Created to deliver the perfect blend of form and functionality, Brit Windows Classic Plus conservatory solutions are designed for the needs of the modern homeowner. Featuring incredible perimeter roof pelmets to accommodate down-lighting features, and create a focal perimeter around the conservatory, the Brit Windows classic conservatory is a stunning option for a modern house extension. 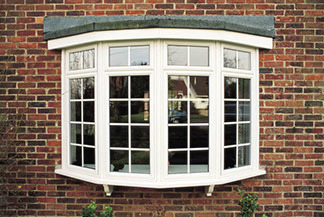 Available with secondary glazing, Brit Windows Classic Plus conservatories can easily accommodate dwarf walls and brick columns – so that you can design your own unique space. 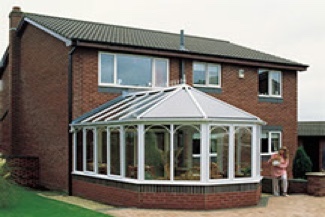 What’s more, the Classic Plus conservatory roof can be enhanced with tie-bars for a traditional Orangery appearance. With the help of our friendly team of tradesman, you can even choose to upgrade an existing conservatory roof with the Classic Plus design – meaning there’s no need to start from scratch. Many conservatories can be upgraded, and the full project can be completed in a surprisingly short amount of time, meaning that you don’t have to deal with any long-lasting disruptions. 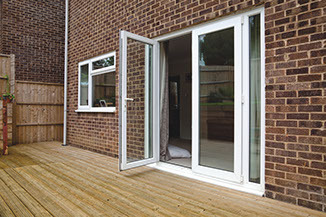 At Brit Windows, we want you to get the most out of your home – no matter whether it’s small or large, old or new. Our high-quality materials and experienced tradesmen are devoted to giving you the best from your Classic Plus conservatory development, all the way from the start of your project, to those last finishing touches.